Minecraft is a game about placing blocks to build anything you can imagine. At night monsters come out, make sure to build a shelter before that happens. Minecraft also has music by C418! Minecraft is a creative sandbox game, in which you can create huge structures and caves to play in. It's a deceptively simple game of building and survival.Once you know how, mining and building is pretty quick, and you can create some really cool structures. ...... It's not clear what to do except explore to begin with, but as the sun sets monsters appear, who will kill you. Survival is impossible in the open, so you need to build a shelter to hide out in for the first night. Collecting wood from trees, coal and stone from cliffs, you have to use your inventory to create tools, planks and more. Once you know how, mining and building is pretty quick, and you can create some really cool structures. A new realm has been added to Minecraft, which allows faster travel through the huge worlds. Called The Slip, it resembles Hell, and is full of flowing lava and monsters. You can access The Slip using portals made from Obsidian you have mined. 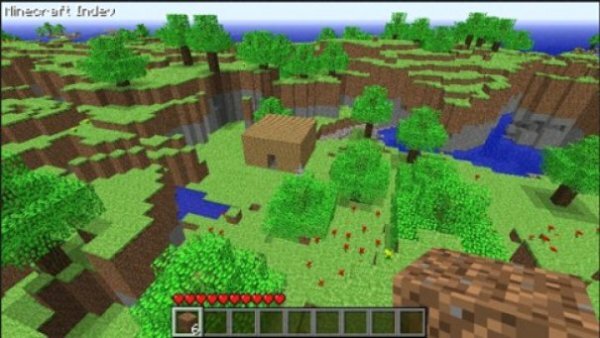 Also, when you create a new Minecraft world, it will now be more varied, with 'biomes' of different landscape, like desert, tundra and snow. Qweas is providing links to Minecraft 1.3.1 as a courtesy, and makes no representations regarding Minecraft or any other applications or any information related thereto. Any questions, complaints or claims regarding this application Minecraft 1.3.1 must be directed to the appropriate software vendor. You may click the publisher link of Minecraft on the top of this page to get more details about the vendor.